At Carolina Family Estate Planning, we use Heir Safeguard Trust to refer to a Trust that’s been specially designed to protect your surviving spouse or children from future remarriage, lawsuits, creditors, or divorce. For example, if you have three children, your Will might be drafted such that after your death each child’s share is to be held as a separate Heir Safeguard Testamentary Trust (see the illustration below). The Trusts might vary for each child, depending upon how much direct access and control you’d like each child to have. The Heir Safeguard Trust is also used to provide bloodline protection. With the typical “simple” Will you might leave things equally to your children when you die. But what happens when your child later dies? 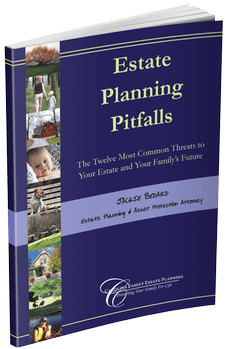 Those assets would pass to your child’s heirs—which is often their spouse. The Heir Safeguard Trust allows you to bypass your son-in-law or daughter-in-law and set the funds aside for grandchildren instead. Depending on the circumstances, you might still consider naming your son-in-law or daughter-in-law as Trustee on behalf of the grandchildren, but the Heir Safeguard Trust makes it clear that the funds are to only be used for the grandchildren’s benefit. This can be especially important if your son-in-law or daughter-in-law should remarry or have more children. 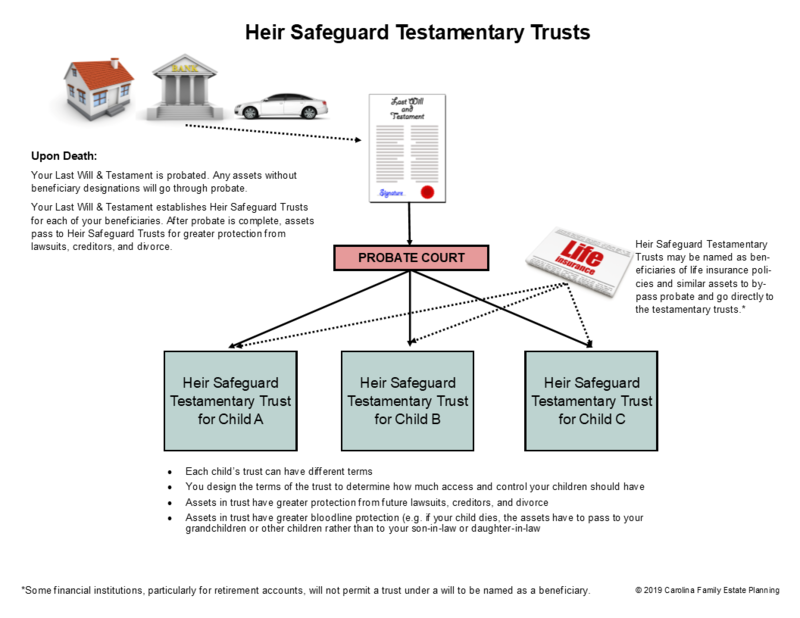 The illustration shows Heir Safeguard Trusts as Testamentary Trusts used with a Last Will & Testament. However, Heir Safeguard Trusts may also be used with a Revocable Living Trust or Irrevocable Living Trust. Some people will ask us whether their children can just set this up for themselves at a later time and the answer is—not really. When you set up an Heir Safeguard Trust for your children, your children will be able to have much more access and control over it. If your children try to set up an asset protection trust for themselves, it will be more difficult and they will generally have to give up a certain amount of access and control in order to obtain asset protection.